Our 13 year old daughter "decided" for the our family that she needed a Caribbean cruise for Spring Break and her 17 year old brother actually agreed with her. Thus, despite my lack of love for most Caribbean ports, we are sailing on the Celebrity Silhouette on March 24, 2013. Our choice of a Celebrity cruise was easy. We have sailed on the Celebrity Millennium, Constellation, Solstice, Equinox, Mercury and Century; the first two on multiple occasions. Why? Because we believe (after sailing on many lines, from NCL to Royal Caribbean, to Holland America, etc.) that Celebrity provides not only "the best bang for your buck in the business", but the opportunity to have a more refined and upscale experience while also offering the children more than enough opportunities meeting their youthful interests. As a result we have Celebrity Captain's Club Elite Status (but more on that later). Full Disclosure: While Celebrity is giving me some onboard credit, I am paying full price for this cruise without so much as a complimentary upgrade...not that, with our accommodations I would want one. So what I am doing and what I am paying for is, almost without exception, exactly what you can do. 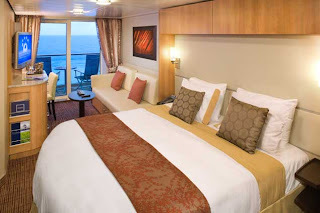 We booked this cruise early-on, so I have two Concierge-Class staterooms on the stern overlooking the ship's wash. For a family with two teenagers this is, to me, a far better situation than booking a large suite because we have two separate bedrooms, two full bathrooms and sufficient privacy. 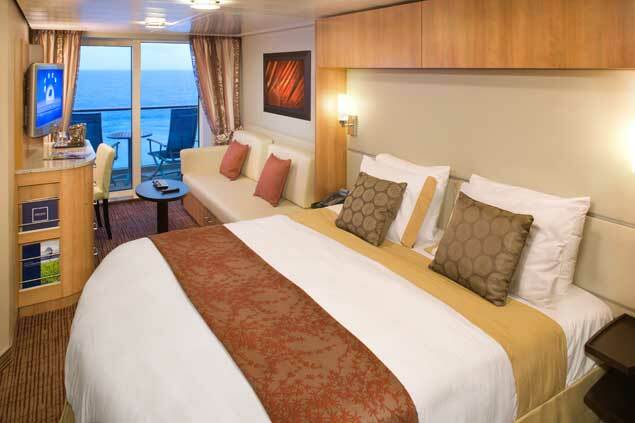 One nice feature on the Solstice-class ships is that the balcony dividers can be opened so that we will have one large balcony to enjoy as a family. 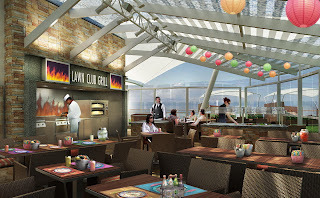 Opting for Celebrity Select (open seating) dining our gratuities are required to be prepaid. The price per each Concierge Class (Category C1) stateroom was $2,940.92 including gratuities, fees and taxes. But by paying with my American Express Platinum Card I receive a $200 per stateroom onboard credit, two complimentary dinners in one of the specialty restaurants per stateroom ($50+ value) and a bottle of champagne per stateroom ($35+ value), bringing my cost per stateroom down to a very reasonable $2,655.92 (or $1,327.96 per person). Because we enjoy a more inclusive cruise experience we always opt for Beverage Packages. My wife and I take the Premium Beverage Package which includes most premium brands and a nice selection of good wines along with a 30% discount on any bottles of wine we may purchase. The package, which must be purchased for the entire cruise is $54.00 + 15% gratuity per day, or $434.70 per person ($869.40 total) plus the kids Premium Non-Alcoholic Package at $18.00 + 15% gratuity per day or $144.90 per person ($289.80 total). Thus our total cost for beverages for the cruise is $1,158.20. But Celebrity allows us to be yet more inclusive! Celebrity offers a number of Specialty Dining Packages where you can pre-pay for a number of specified specialty restaurants. For example, a 5 Night Package at $139 provides you with one dinner at Murano, Qsine and Lawn Club and two at Tuscan Grill. 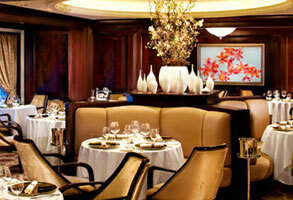 But there is another, very limited, option: The Ultimate Dining Package costing $203 per person. It gives you unlimited access to each venue for dinner, one lunch at Murano and Lawn Club, unlimited breakfasts and lunches at Bistro on Five and The Porch plus a Champagne High Tea at Murano. We are opting for the Ultimate (which is capacity controlled) for the adults ($406 total cost) and the children with dine with us a couple of times...using the American Express Platinum benefits and otherwise dine at the Ocean Cafe buffet and use the complimentary room service. Our Celebrity's Captain's Club Elite Benefits include, among other things: Complimentary pressing of two garments (my wife's dresses are now taken care of); complimentary drying cleaning of one garment; a complimentary bag of laundry; 90 minutes of internet; access to a complimentary breakfast and pre-dinner cocktail lounge, Elegant Tea one afternoon and priority tender service. I know. I know. I haven't even told you about what is included in the Concierge-Class Staterooms. Other than an awesome location, each stateroom receives a bottle of Blanc de Blanc sparking wine (we now total four complimentary bottles of bubbly for this 7 night cruise! ), upgraded bath amenities, fresh fruit, evening canapes, a private departure lounge (if I don't use the Elite one! ), a pillow menu and more. 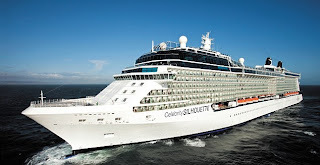 This brings the total cost for our cruise (aside from shore excursions and souvenirs) for a family of four sailing in two Celebrity Silhouette Concierge Class staterooms including all gratuities, beverages (plus 4 bottles of bubbly) and specialty dining to an extraordinarily reasonable $6,877.04. At this point, knowing me, I just have to make the comparison to a Regent Seven Seas "free", "free", "free" cruise of a similar nature. On March 22, 2013 the rather old, quirky and vibration-troubled, Regent Navigator sets sail out of Miami on a 10 day Caribbean cruise. If I eliminate the balcony and great location/view by going with the least expensive Category H Oceanview Suite, go without a number of great alternative dining venues and severely limit my kids' options, and, of course a state-of-the-art cruise ship, I would be looking at a price of $18,396 and all I would be receiving extra would be about 100 square feet of space per cabin and a bathtub. The net result is that the price per day for a family of four on Celebrity is $982 vs. Regent at $1,840. Next Up? 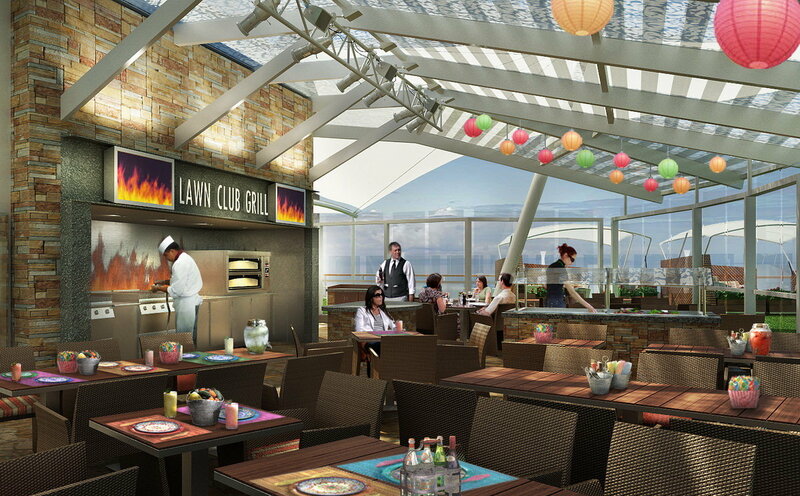 A bit about the Celebrity Silhouette, the cruise and what we will have planned.